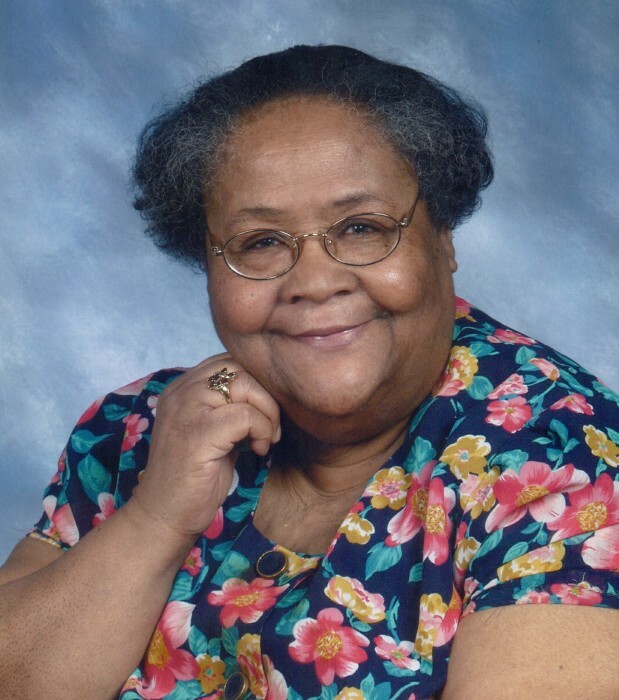 Edna Mae Whiteside Williams, 85, transitioned on Wednesday, November 14, 2018. Edna was born on February 5, 1933 to Mary Blackwell Whiteside and Rufus Whiteside in High Point. Mrs. Williams loved the Lord and always carried a smile on her face. She showed her heart for people and a special heart for children, especially her grandchildren. She attended Mount Vernon Baptist Church until her health declined. She always looked forward to family gatherings and enjoyed shopping, reading, and Bingo. In addition to her parents she was preceded in death by a brother, Leroy Whiteside; two sisters, Mary E. Whiteside and Inez Whiteside. Surviving relatives include sons, Terry Lee Williams and James Williams, Jr.; daughters, Carolyn Williams Kent, and Edna Danette Williams all of High Point; grandchildren, Terry Lowery, Tiki Williams Burris, Tya Kent, Lashana Williams, Toneka Williams, and Octavious London-Batts; six great grandchildren, Antoine Allen, Isaiah Lowery, Teyerra Kent, Jaylen Lowery, Brooke Batts, and DJ Batts; a host of nieces, nephews, cousins, other relatives and friends. A Homegoing Celebration will take place 12:00 pm Saturday, November 17, 2018 from the Mount Vernon Baptist Church, 716 Leonard Avenue, High Point, NC 27260 with Reverend Frederick O. Bass, Jr. serving as eulogist. Burial will follow in Oakwood Memorial Park, High Point. The family visitation will be Saturday from 11:30 am until 12:00 pm at the church. Funeral arrangements are by Johnson & Sons.